The Lunar New Year is coming up (1/28) and one symbol of good luck is oranges. Last year I made tissue paper oranges. This year, I figured I’d finally give bath bombs a try. One Good Thing by Jillee has a great tutorial. 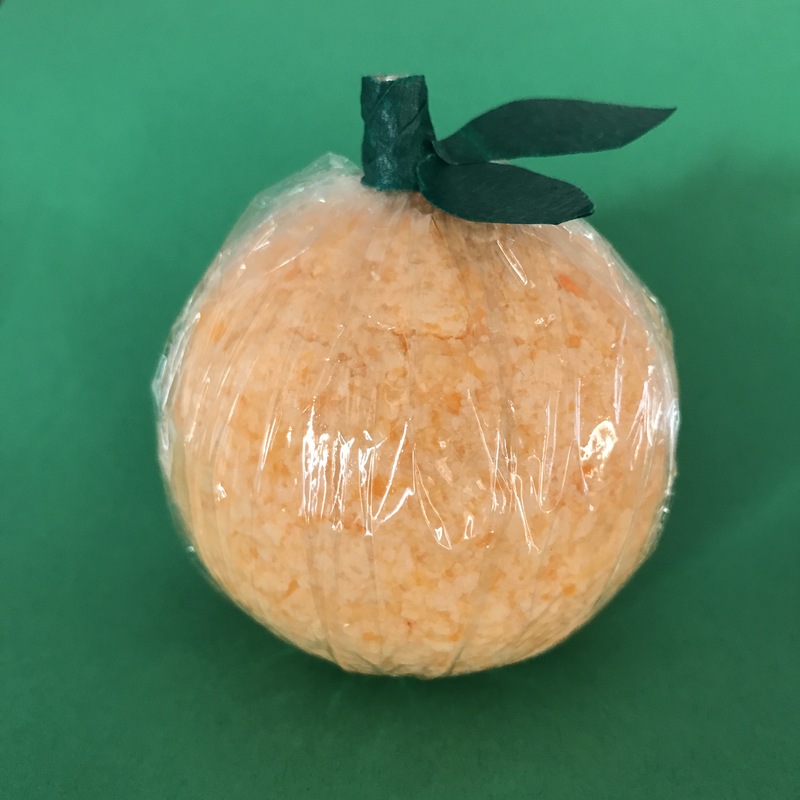 I used orange food coloring and orange essential oil and a plastic fillable Christmas ornament as the mold. I didn’t think of it until after, but you could put a little waterproof toy or trinket in the middle. I wrapped it in cellophane and then used floral tape for the stem and leaves.